This guide is intended for anyone thinking of starting a new skateboard club at school. If you have always wanted to start a skateboarding club at school but were unsure how, you need to know that you will need to go through some of the questions and if you are to establish a successful new club. There's little point in duplicating something that already exists. So, no matter how good your ideas are for a new club, please do first check around to see whether anything similar already exists. Conversely, do not set up a meeting though until you have researched and prepared what you want to say. If you are afraid that the principal may object to the idea of skateboarding being done on school property due to liability issues you may want to take a different approach. Your skateboarding club could focus on learning how to petition the government for a public skatepark as part of a social studies class, raising funds for a skatepark as part of a business class or learning how to make skateboards and skate ramps as part of a wood shop class. There are several organizations that should be able to help you as each of them is committed to helping develop sport throughout the community. You should make contact with each of them, and find out what practical help they can offer. The Local Authority which is likely to have a sports or leisure department; they can help with the hiring or letting of sports facilities; they may have small grants for new clubs; and their officers may be able to give you practical advice. The Local Sports Council brings together many local sports clubs; there is a wealth of expertise that you can draw on here to help you get off to the best start. Make sure you speak to each of these groups in the early stages of forming your new club. The section of Club Structures explains more about becoming an unincorporated association and whether you might also consider becoming a charity or a recognized 'Community Amateur Sports Club'. And the section on Office-bearers tells you all you need to know about the roles of chair, secretary, treasurer and other posts. As your club grows, you may need to consider other legal structures but you can return to these in due course. Have a look at the Membership pages for ideas on recruiting, retaining and supporting your members. This can be one of the hardest parts of getting started. Most clubs begin with some initial funds subscribed by the members and then realize that they need additional monies and resources if they are to become successful. There are probably more sources of help than you have imagined. The range of Funding options includes club-based fund-raising activities, local authority support, Awards for All, sponsorship, other Lottery funds, and collaborative agreements with other sports bodies. Finding the right premises or facilities can sometimes be difficult: it's best to hire facilities first before thinking about obtaining your own. There is more advice in our Facilities section. Finally, don't forget to contact your Local Sports Council as they will have invaluable advice to help you get started. 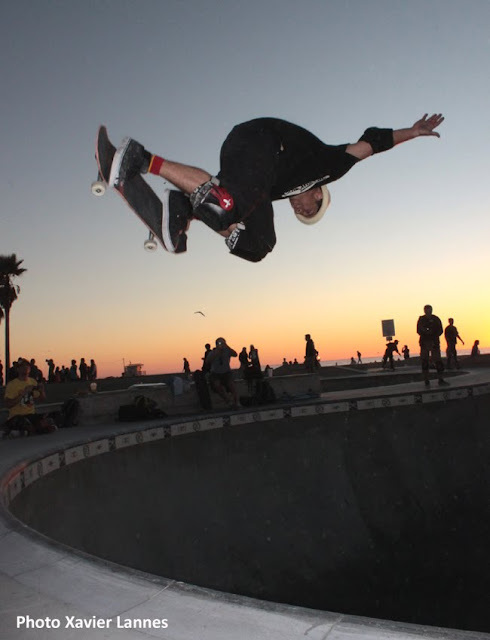 Many of the more experienced skateboarders will want to have some competitive activities and for this you're likely to have to look outside your own club. With sufficient members, you can organize your own internal club leagues, ladders and competitions. In many sports and localities there are also inter-club leagues and competitions where you can play against other teams and individuals. Who do we want to encourage to join us as members? Are we going to involve juniors in our club? If we do have children and young people, how do we protect them? What are the health and safety considerations that affect our sport, our use of equipment, and our premises and facilities? How do we support the volunteers that are contributing to our club? And the Volunteers pages provide a wealth of information about recruiting and supporting volunteers in your club. If your club just keeps the same members and doesn't review its activities, it runs the risk of becoming static and eventually withering away as members drift off. A healthy club is one that has a regular influx of new members and a periodic change in office-bearers on the committee. It has a mix of recreational, competitive and social activities. And it's regularly thinking about the future. You don't have to be ambitious, provided you keep reviewing whether your club is doing with the current and potential future members actually want. If you look around at other clubs, you'll find that they may be recruiting more younger members (the full members of the future), looking to expand their facilities, starting new competitions or joining new leagues, or providing more training and coaching for their members. There are many options for developing your club - you just need to decide which is the most appropriate. Step 10: Skateboarding is fun, so have fun and celebrate your successes! Host an annual dinner or awards ceremony to provide a focal point for recognizing the achievements of your members and your club.